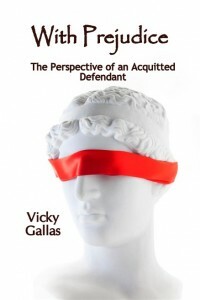 With Prejudice: The Perspective of an Acquitted Defendant is a compilation of select essays and articles from The Accused Madam Blog up until mid-January of 2010. With Prejudice: The Perspective of an Acquitted Defendant is a compilation of select essays and articles from The Accused Madam Blog. Topics include: A Conservative Nation; Adult Business Prosecutions; The Case and the Past; An Insecure Communications Infrastructure; and Police State America. Is there justice in the United States? I do not know, but if there is, I have yet to find it. From my perspective Lady Justice is blindfolded, elusive, and broken; a shattered remnant of the past. Perhaps it was I that was blindfolded before and now I see the truth. Actually, the truth was thrown at me like a brick. Prior to my arrest and the bizarre case, I was naïve enough to believe that the U.S. criminal justice system was a shining example of fairness; you know what I am referring to – the innocent until proven guilty crap or the notion that all have the right to a fair trial and to be judged by a jury of their peers. This is, of course, a myth. Even when the jury renders “not guilty” verdicts on all counts most of the people consider the defendant guilty and often interpret this to mean that they got away with the alleged criminal activity. Such a system places all of the power in the hands of overzealous police and prosecutors.